Due to her parents promise at her birth, Lady Rosemarie has been prepared to become a nun on the day she turns eighteen. Then, shortly before her birthday, a friend of her fathers enters the kingdom and proclaims her parents will left a second choiceif Rosemarie can marry before the eve of her eighteenth year, she will be exempt from the ancient vow. Before long, Rosemarie is presented with the three most handsome and brave knights in the land. But when the knights arrival results in a series of attacks within her land, she begins to wonder if the convent is the best place after all. If only one of the knightsthe one who appears the most guiltyhad not already captured her heart. 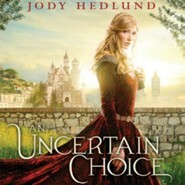 Jody Hedlund, historical fiction author, pens her first young adult novel by telling the story of a fourteenth-century young woman faced with a life-altering decision. In An Uncertain Choice, Lady Rosemarie is one month short of her eighteenth birthdaythe day she goes into the convent to fulfill her parents vow. She found out about the vow when her parents died from the Plague four years earlier, so she has had time to prepare for life in the convent. Rosemarie thinks she will still be able to rule her people from behind the convent walls. 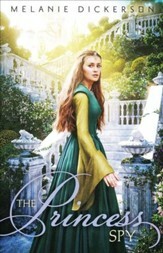 Her late fathers close friend, the Duke of Rivenshire, arrives with three handsome knights to tell her that she has another choiceto marry before midnight on her birthday, releasing her from the vow. 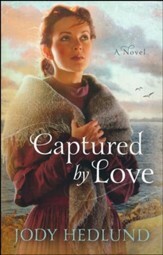 After being on her own, Rosemarie is torn between the possibility of marriage and entering the convent. What is Gods plan for her? As the knights compete to win her heart, someone is sabotaging the competition. One of the knights appears to be guilty, but is he? Should she marry or go to the convent? She has only one month to make the correct choice. As always, Hedlund brings a story with descriptive narrative, believable plot, and endearing characters, making it an enjoyable readexcept, perhaps, for the torture endured by prisoners. 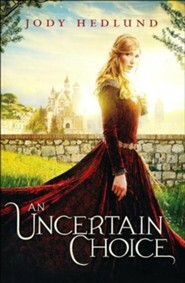 An Uncertain Choice can easily be read by adults and teens alike. Fans of Lisa Bergrens River of Time series and Melanie Dickersons medieval young adult books will also enjoy Hedlunds medieval trilogy. 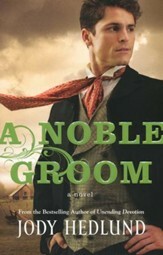 Readers may want to read Hedlunds novella, The Vow (available only in ebook format), a prequel to An Uncertain Choice. 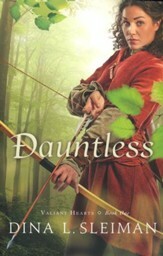 Recommended for teen collections in public libraries and school libraries. I'm the author/artist and I want to review An Uncertain Choice.